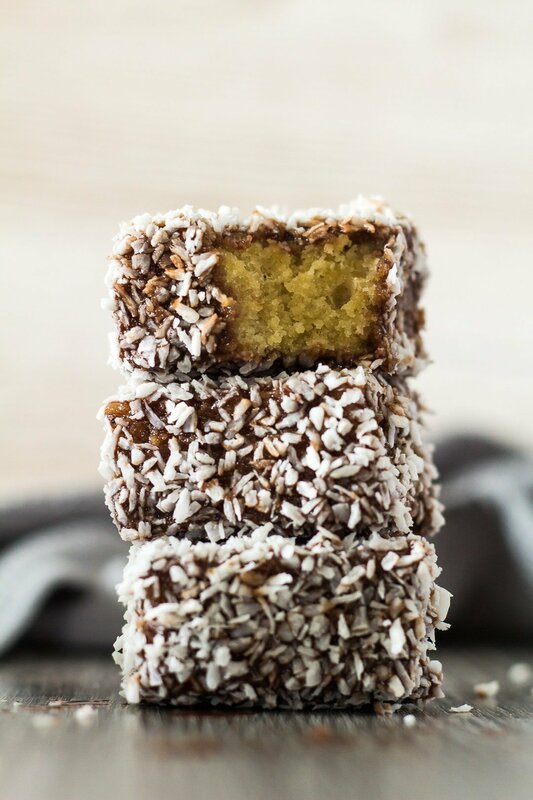 Homemade Lamingtons – Deliciously moist and fluffy squares of sponge cake coated in a layer of chocolate, and rolled in desiccated coconut! 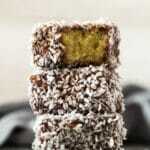 I absolutely love Lamingtons. They are small squares of sponge cake dipped in chocolate, and rolled in desiccated coconut. If you’re a fan of the combination of chocolate and coconut, you’ll love these little treats! 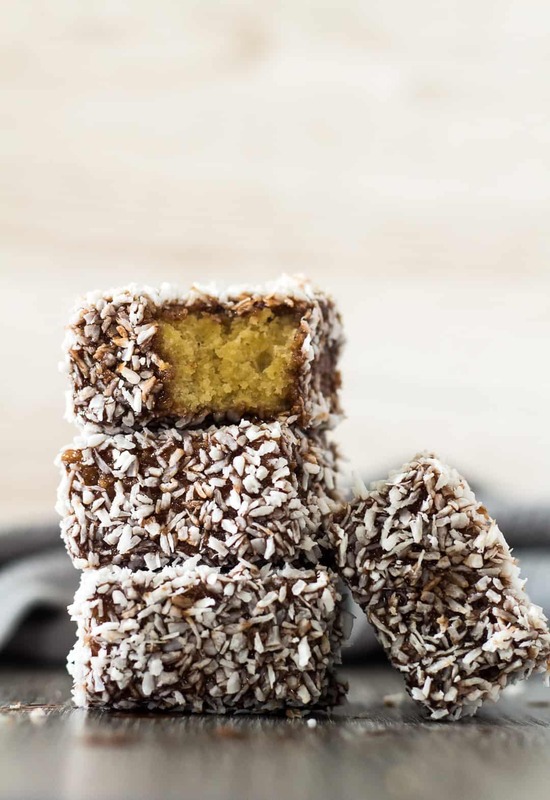 A Lamington is an Australian cake, usually made from squares of butter cake or sponge cake coated in a thin layer of chocolate, and rolled in desiccated coconut. They remain a very popular snack across Australia and New Zealand. Chocolate: You can use milk, dark, or semi-sweet chocolate. Milk: You can use any kind. Cocoa powder: You only need 1 tablespoon. To make these delicious treats, simply cream together the butter, sugar, and vanilla until light and fluffy. Add one egg and half of the flour, and beat until combined. Add the remaining eggs and flour, and beat until fully combined. Pour the batter into an 8×8-inch square baking tray lined with parchment paper or foil, and spread out evenly. Bake for 25 – 30 minutes, or until a toothpick inserted into the centre comes out clean. Allow the cake to cool in the pan for 5 minutes before turning it out onto a wire rack to cool completely. Once cool, cut the cake into 16 squares. For the chocolate icing, add the chocolate, butter, and milk to a microwave-safe bowl, and heat in 30 second intervals until melted and smooth. Whisk in the icing sugar, cocoa powder, and boiling water. Dip each cake bar individually into the chocolate, then roll them in the coconut. Allow the cakes to set before serving. Perfect for serving at parties! Deliciously moist and fluffy squares of sponge cake coated in a layer of chocolate, and rolled in desiccated coconut! Cakes stay fresh, stored in an airtight container, at room temperature or in the fridge for up to 1 week. They also freeze well for up to 3 months. Thaw overnight in the fridge before serving. I’ve been wanting to try making lamingtons! I can’t wait to try your recipe out! I have never heard of lamingtons before, but now that I know about them I won’t be able to get them out of my head! They look incredible! Thanks for the new recipe. Can’t wait to make these!! Lamingtons looking super delicious Marsha. Nice recipe.